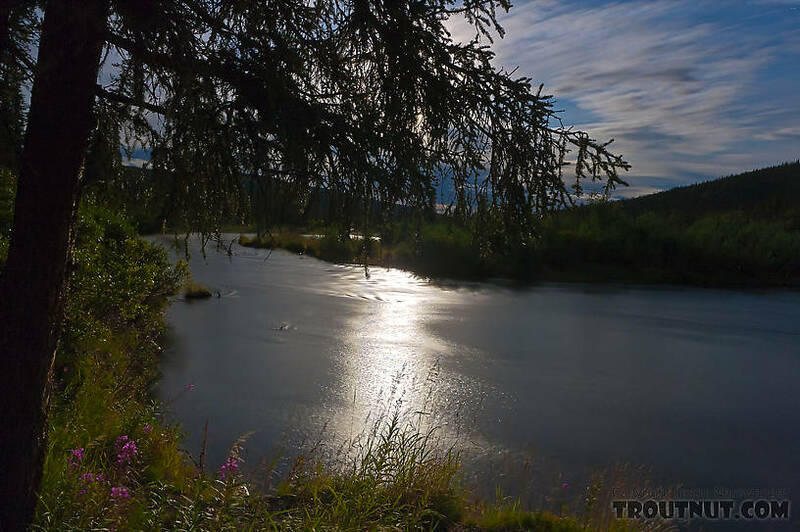 I left Chitina around 8pm after 12 hours dipnetting and 2 hours cleaning fish, then drove north toward home for 4 hours before stopping to "car camp" at the same Gulkana River access I photographed on my trip down. First, I took a few minutes to work on my nighttime river photography under the full moon. 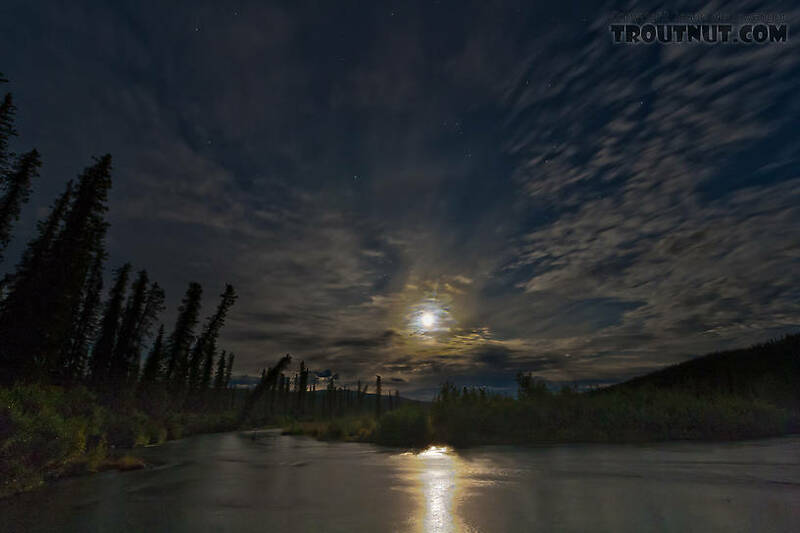 A moonbeam illuminates a riffle and some fireweed. 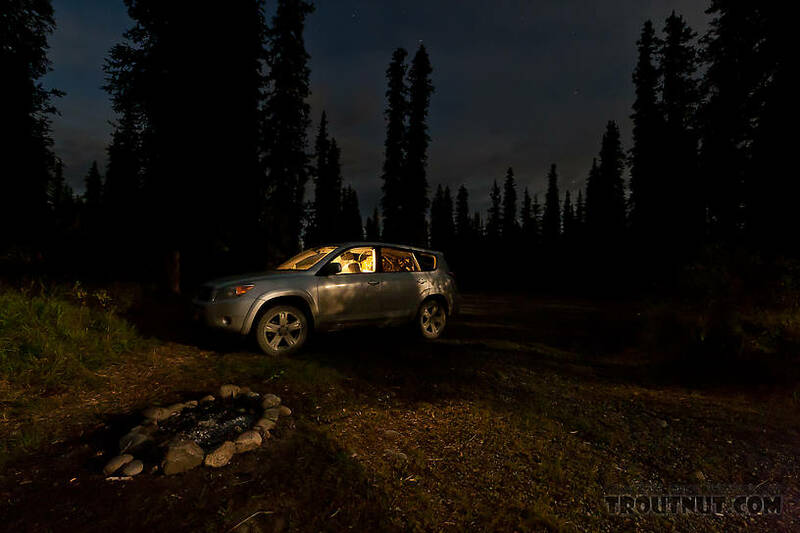 The upper Gulkana, moonlit shortly after midnight. Home sweet home... the back of the car is half sleeping bag, half salmon on ice.